Bankruptcy is a tool used by many to reduce debts that they cannot reduce on their own. Individuals struggling with personal debt can use Chapter 7 or Chapter 13 bankruptcy to discharge their debts. If you are considering filing for divorce, you might be worried about the costs involved with the divorce process and the debt you might face when the process is complete. Discuss your concerns with your lawyer to get a better sense of what you can expect from your specific case. If you cannot afford to make these payments, talk to your lawyer about modifying your court order to have them lowered. Do not allow yourself to become delinquent with either of these payments – this will only lead to a greater level of debt and potential legal ramifications. Getting divorced can be expensive. When your divorce is finalized, you can easily find yourself facing a substantial amount of debt, especially if your divorce settlement stated that you are required to cover your former spouse’s court expenses. You can also come away from the divorce with a significant chunk of the debt you and your former spouse accrued while you were married. 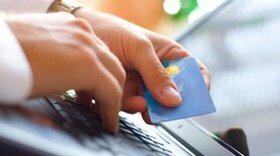 Debt that you and your former spouse accrued together, such as joint credit card debt, can be difficult to discharge through bankruptcy. This is because even though the debt was divided by your divorce settlement, you are both liable for it. Your failure to pay the debt back can hurt your former partner’s credit and you could be required to indemnify him or her for this. Typically, individuals facing debt as the result of a divorce have an easier time discharging the debt to each other through Chapter 13 bankruptcy than through Chapter 7 bankruptcy. Certain debts cannot be discharged through Chapter 7 bankruptcy and even in cases where an individual can discharge credit card debt this way, he or she remains can be liable for any collections the credit card company attempts to make from his or her former spouse. 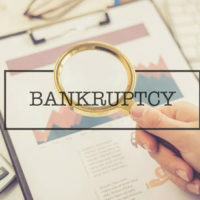 If you are considering filing for bankruptcy, speak with an experienced bankruptcy lawyer about all of the potential repercussions of the bankruptcy before you proceed. If you are working through a divorce or considering filing for divorce in the near future, discuss how the divorce and the bankruptcy will impact each other. Contact our team of experienced Orlando divorce lawyers at Goodblatt · Leo to set up your initial legal consultation in our office.